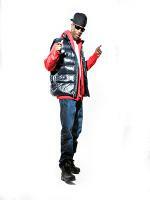 Damon Blackman/Dame Grease, is a Harlem, New York based video and music producer. Before becoming a staple on every mixtape, The LOX relied on the sounds of Grease in order to acquire the street buzz that landed them their deal on Bad Boy Records in 1996. Fellow Bad Boy Mase sought out Grease’s distinctive sound and gave him the opportunity to provide production on Mase’s triple platinum Harlem World. This led to Grease’s work as the primary producer on DMX’s classic debut It's Dark and Hell Is Hot, where Grease helped the Ruff Ryders mold both their image and their sound into what would become one of the most well-known hip hop crews. During this time, Grease taught and paved the way for Swizz Beatz, another sample-free producer, to make his mark on the game. As Swizz began to make his mark through the teaching of his mentor, Dame Grease landed a deal with Priority Records to release music through his label, Vacant Lot. Rather than accept offers to be one of Puff Daddy’s legendary Hit Men or an in-house producer on Ruff Ryders, Grease chose to create his own Vacant Lot production company. In 2001, Dame Grease made the accession from producer to composer by providing the score for the Steven Seagal/DMX blockbuster Exit Wounds. 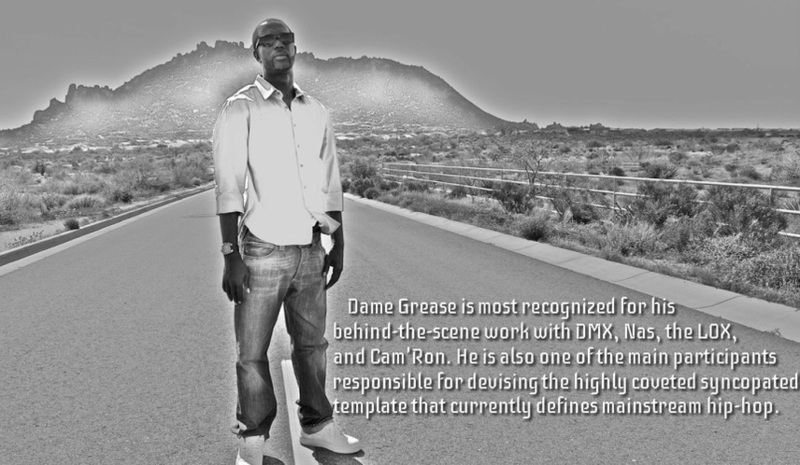 In addition to his work on the film, Dame Grease also reunited with DMX on the soundtrack for X’s top-ten hit "Ain’t No Sunshine", an updated, yet much darker remake to the Bill Withers 1972 classic of the same name. Grease continued his work as a composer in on the 2003 box-office hit Cradle 2 the Grave, starring Jet Li, DMX, Gabrielle Union, and Anthony Anderson, as well as 2004’s Never Die Alone. Grease may have been focused on scoring films, but he also made time in his schedule to put in work on several music projects throughout 2004 and 2005, including albums from LL Cool J, Kelis, DJ Kay Slay, DJ Envy, Slick Rick, Ol’ Dirty , and an artist on Dr. Dre’s Aftermath label named Aimee Terrin. Grease also kept the underground bubbling with “Crown Me,” a collaboration between T.I., Cam’ron, & Juelz Santana. In 2006, Dame Grease lent his hand to “Life Be My Song,” one of the most acclaimed tracks on DMX’s comeback album Year of the Dog…Again. The world has seen a resurgence of Grease’s sound in 2007, with the Harlem producer securing DJ Drama’s lead-off “Takin’ Pictures” (featuring Young Jeezy, Rick Ross, Jim Jones, T.I., and Young Buck) and Freeway’s single “Big Spender” (featuring Jay-Z). Grease also produced several tracks on Hell Rell’s debut album “For The Hell Of It,” which has been described by many as one of the most well-rounded releases by a Dipset artist. Grease has also been hard at work on his own album and recently released the single “Sour Diesel,” which features N.O.R.E. and Styles P.
In the year 2009, Dame Grease produced the track "Lambo Dreams" for Curren$y which will be included on Curren$y's This Aint No Mixtape: Championship Edition. In 2010 Grease Executive Produced Riff Raff album by Jodyhighroller titled Hologram Panda that has amazing reviews and has toured all over the world with Jody and his Mad Decent team. Currently Grease produced a series of tracks for some of the hottest names in the game as well as Solo Projects, and the Wave Gang Mixtape Series which is 10 tapes strong. The Wave Gang Projects feature artists like, French Montana, Max B, Akon, JodyHighroller, Styles P, NORE, Snoop Dogg, Jae Millz, Curren$y, Lil B, Raekwon, Fat Joe, Tone Trump, Red Cafe, Rick Ross, Maino, Slim Thug, and Many More. 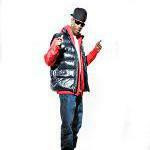 Dame Grease current projects with Upstate South Carolina artist C Jenks and his Burg Lyfe group. They have several projects lined up since the release of Hatervision back in March 2015. With several more projects lined up that will last well into 2016, Dame Grease looks to continue to lace Hip Hop with the same quality production that he has for the past decade and a half. DIY Projects, Music Production, Off Road Recreation.